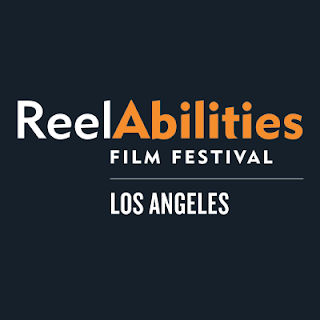 The festival is produced by the City of Los Angeles Department on Disability in partnership with the City of Los Angeles Commission on Disability and ReelAbilities North America. Sponsors include Laemmle Theatres, USC Annenberg Norman Lear Center, SAG – AFTRA, Jeffrey Pechter Family Foundation, the Writers Guild of America, and The Ruderman Family Foundation. Opening the festival on Thursday, October 11 with a blue carpet and gala is Chloé Zhao’s quiet masterpiece, THE RIDER. After suffering a near fatal head injury, a young cowboy undertakes a search for a new identity and what it means to be a man in the heartland of America. The festival will close on Sunday, October 14 at Laemmle NoHo 7 (5240 Lankershim Blvd, North Hollywood) with the Los Angeles premiere of SANCTUARY. This award-winning film is a heart-warming romantic comedy where Larry and Sophie, two people with intellectual disabilities, long to be together in a world that does everything to keep them apart. Screening with the film is animated short MACROPOLIS, a charming story of two toys who are thrown away for being different and their quest to be put on a store shelf. Founded in NY in 2007, the festival presents award winning films by and about people with disabilities in multiple locations throughout each hosting city. Post-screening discussions and other engaging programs bring together the community to explore, discuss, embrace, and celebrate the diversity of our shared human experience. In 2012, other cities across the US followed New York’s footsteps by hosting a ReelAbilities Film Festival, starting at Cincinnati, Ohio. Since then, Reelabilities events have been held in over a dozen cities across the world – transitioning from ReelAbilities North America to ReelAbilities International. ReelAbilities events have expanded from the US to Canada and soon – Latin America, and take place in many different forms – film festivals, year round screenings and special programming that goes beyond film. Since its start, ReelAbilities has been consistently receiving an increasing number of outstanding film submissions from across the globe. The ReelAbilities International headquarters has recently moved back to the Marlene Meyerson JCC Manhattan in NYC.